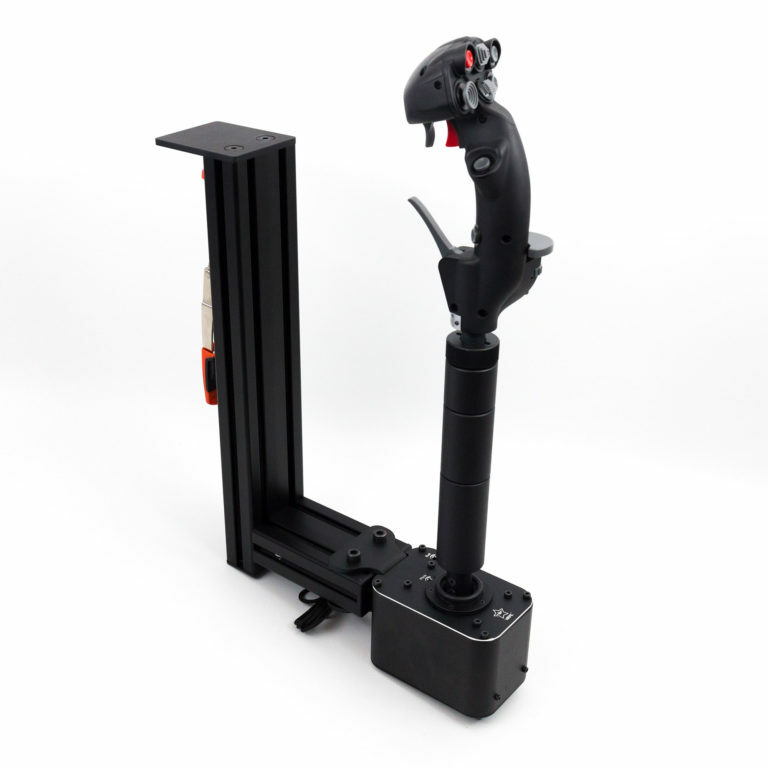 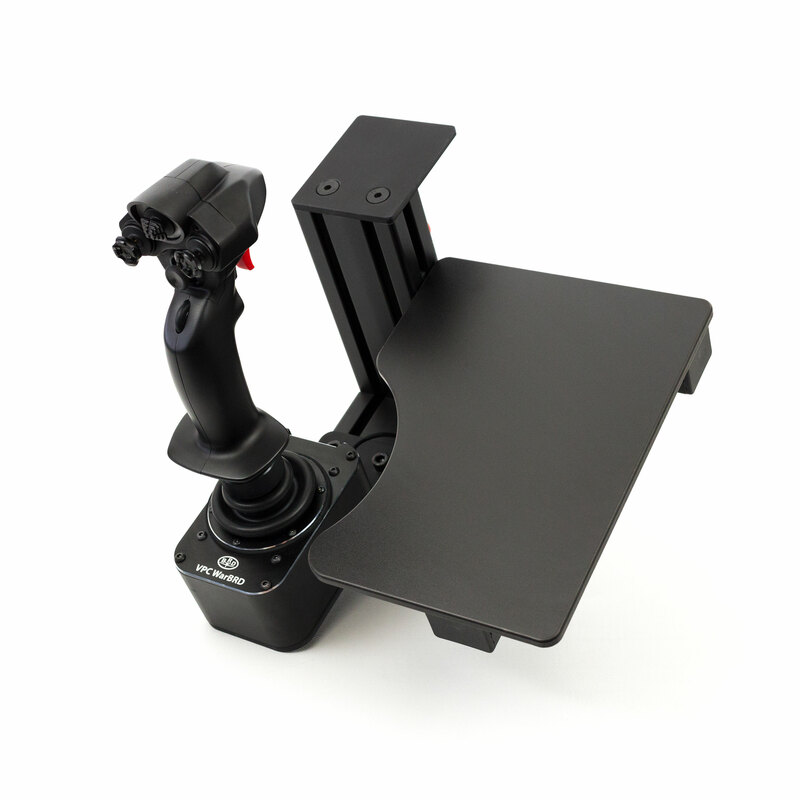 Mouse Extension for Table Mounts for perfect positioning of a mouse beside a joystick or throttle. 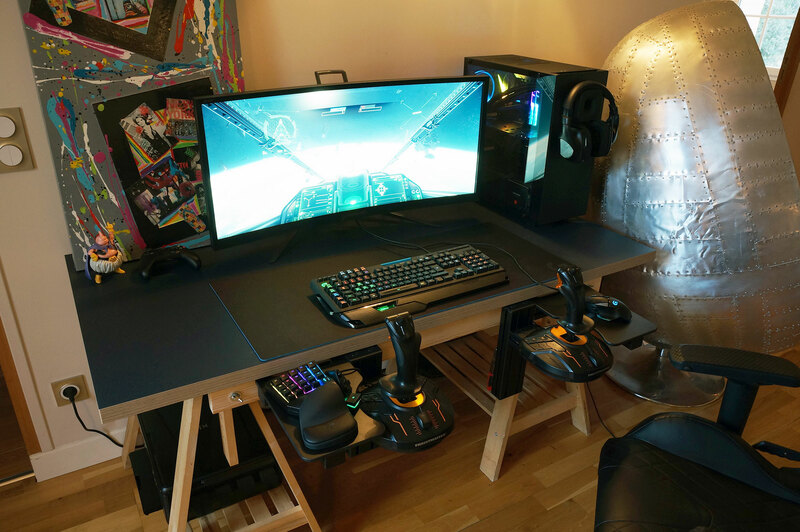 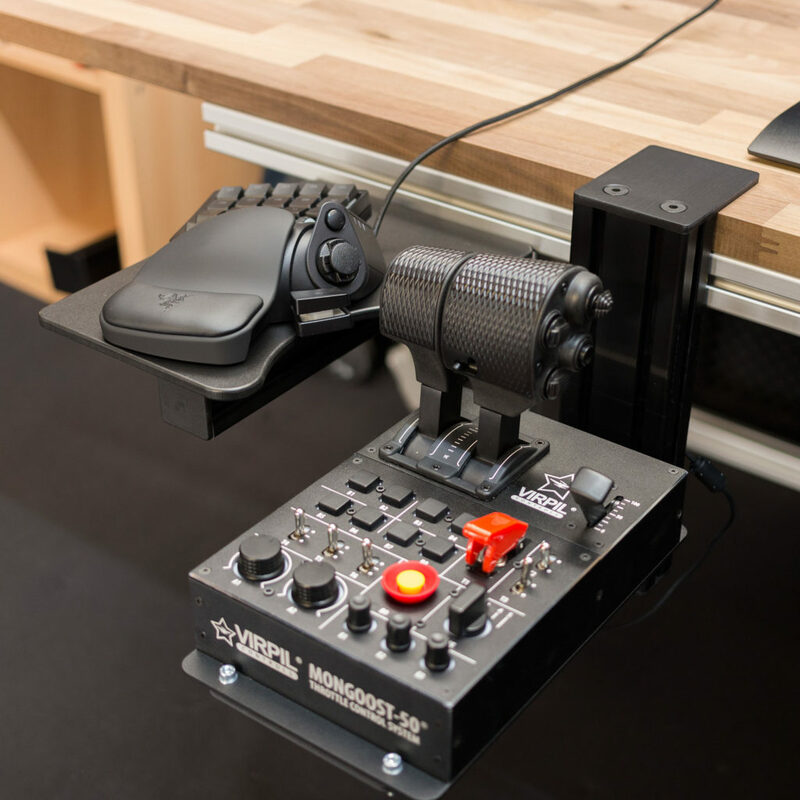 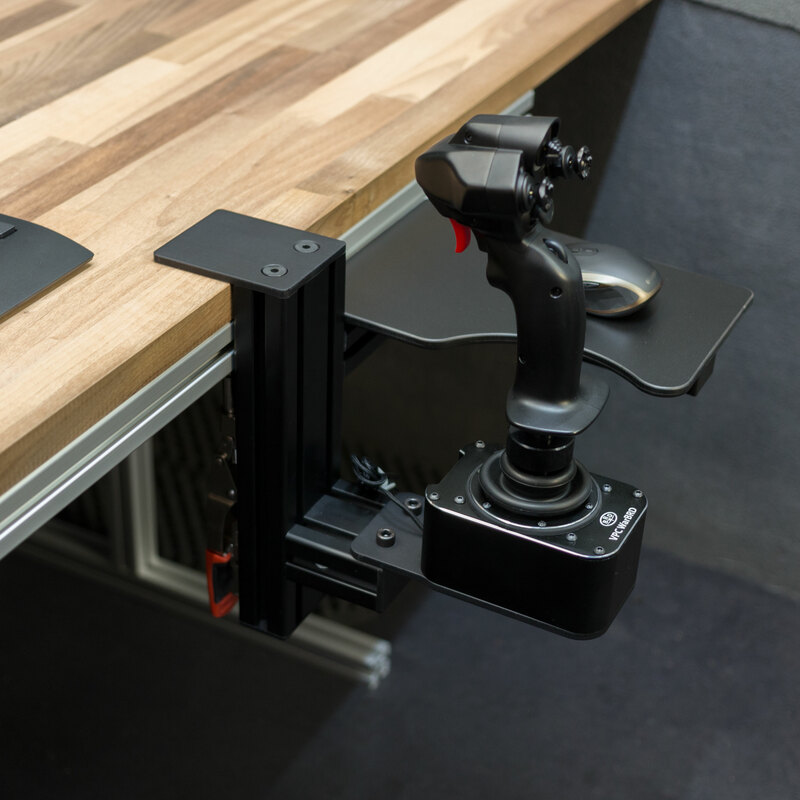 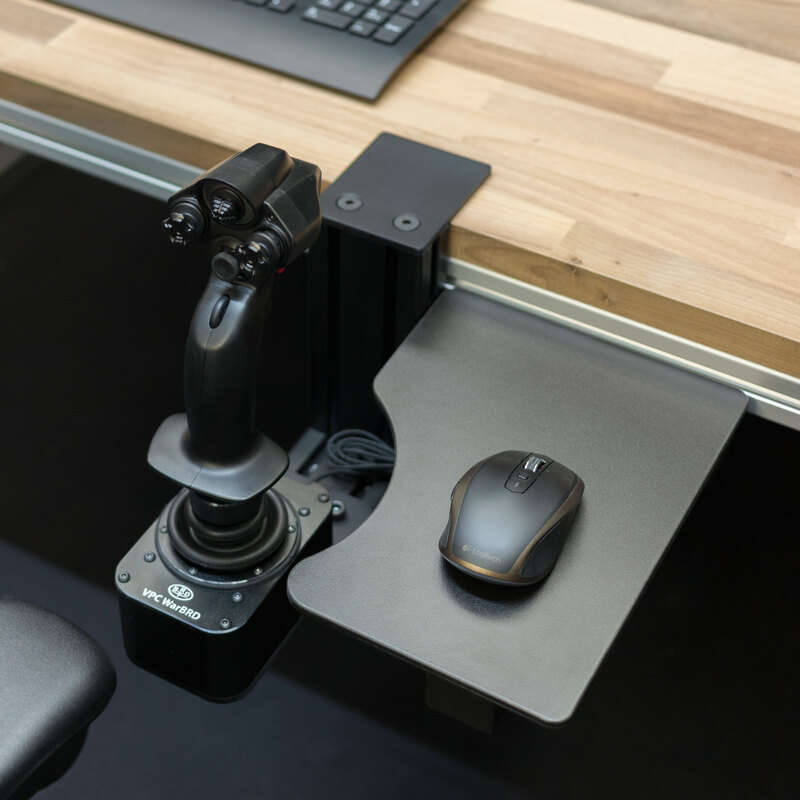 Especially for games like Star Citizen or similar, where you quickly need to switch between a joystick and throttle and keyboard and mouse control setup, a correct mouse position is very important. 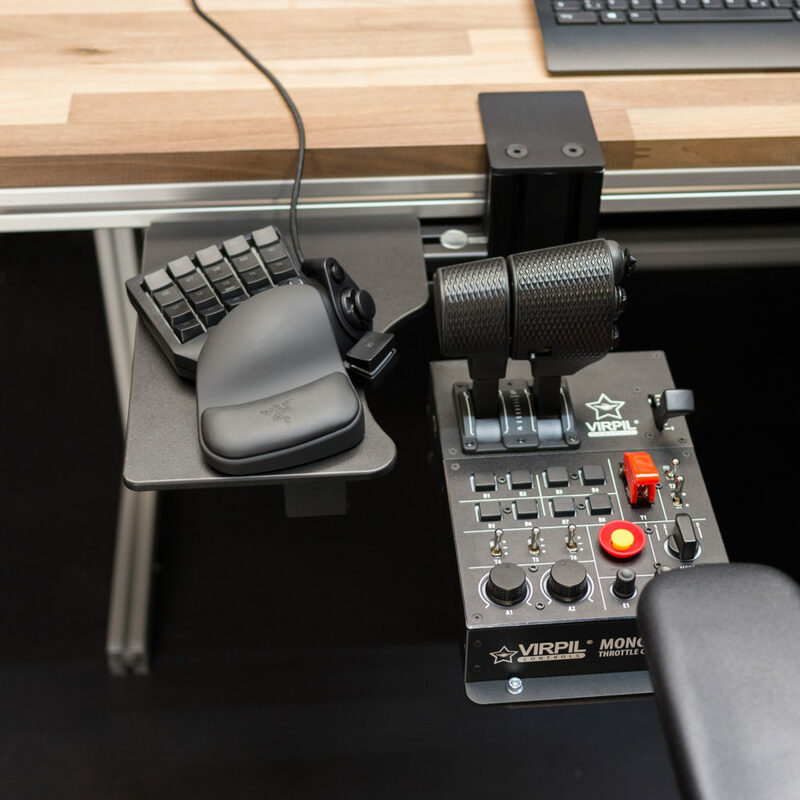 Only that makes it possible to switch between the two control methods without any delay. 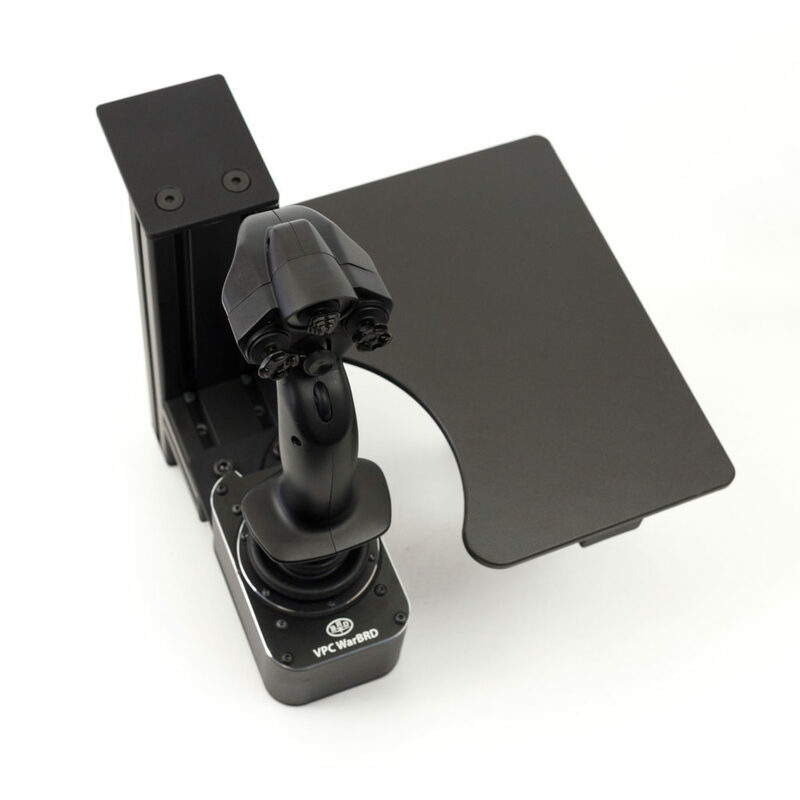 The Mouse Extension is seamlessly adjustable in height on the full length of the table mount. 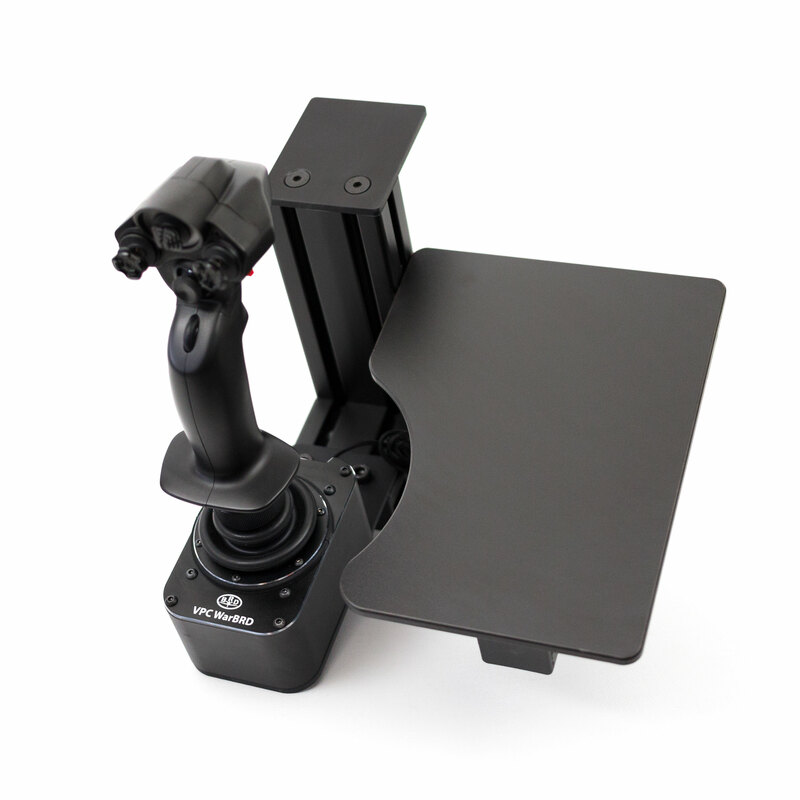 The perfect position is aligned with the hand grip on the joystick handle. 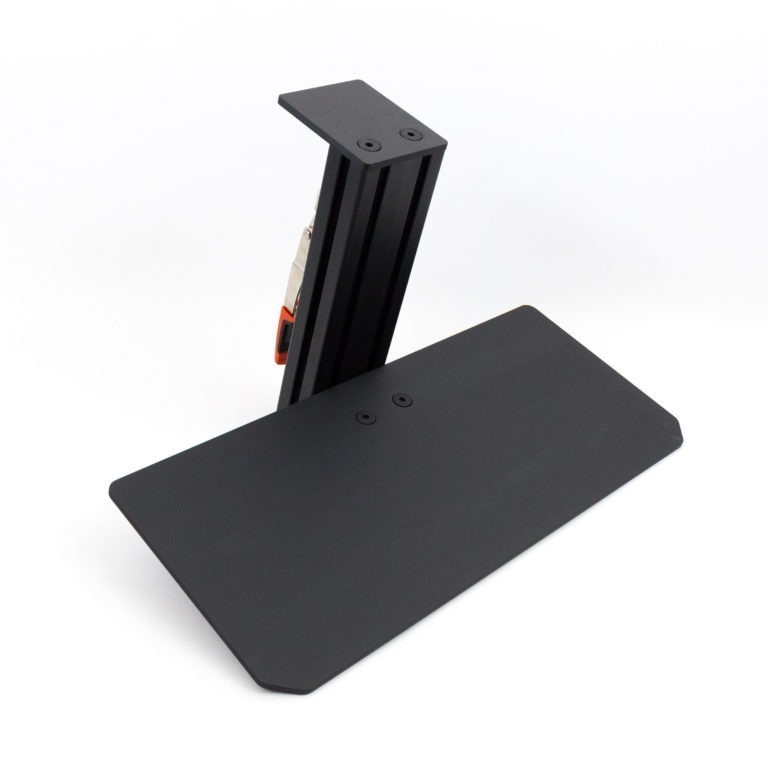 The plate can also be attached on the left, to make left hand mouses compatible as well as gaming keypads. Chair, mouse joystick or throttle systems are not included, they are only shown for demonstration purposes. 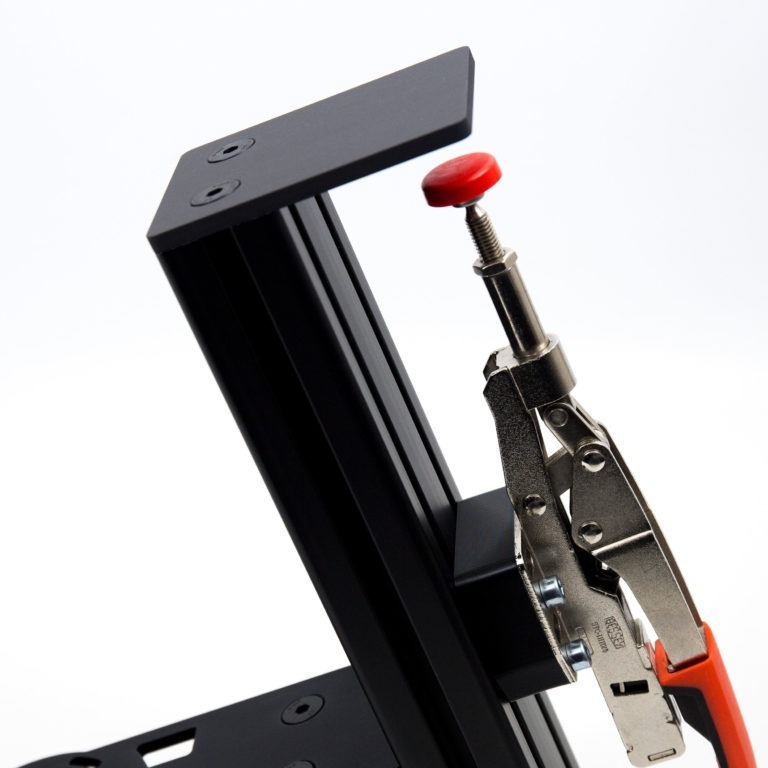 19% VAT will only be added when the shipping address is located inside the European Union.